When we’re working with forklifts day in and day out, we forget that they’re a dangerous bit of kit. Recently, the operation a poorly maintained forklift, left one teenager hospitalised with serious injuries. And a businessman’s livelihood in ruins. Courts recently heard of how a 17-year-old worker was left hospitalised for two weeks. He had had his his leg trapped by a poorly maintained forklift. The truck, which was on loan from another business for six months, had a catalogue of defects, including stuck ignition keys and faulty steering. Would you drive a car in this condition? 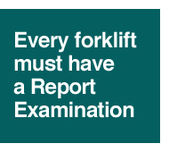 Cases such as this are a strong reminder of the importance of routine forklift examinations. You should treat examinations like the MOT on your car, which is prescribed by law in many countries. Had the company in question fully understood its responsibility to keep its trucks in good working order, it might have avoided the accident altogether and the prosecution and fines that followed. 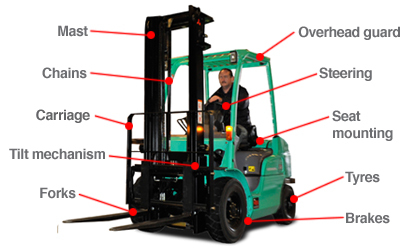 In the UK, the laws governing the use of forklift trucks aren’t easily understood, so there’s room for interpretation… and misinterpretation. Where do you go for help? In the UK we would recommend CFTS as your first port of call. Formed by the industry’s two leading bodies – the British Industrial Truck Association (BITA) and the Fork Lift Truck Association (FLTA) in association with the Health and Safety Executive (HSE) – CFTS is the only inspection that covers the requirements of both PUWER 98 and LOLER 98. Remember, a thorough examination is a legal requirement, not a guideline. Treating it as such could be the detriment to you and your business. Also, don’t confuse Thorough Examinations as routine maintenance; it’s a good idea to inspect your truck as frequently as once every 3 months. Lastly, don’t forget that if you fit an attachment that, too, will require a Report of Thorough Examination.